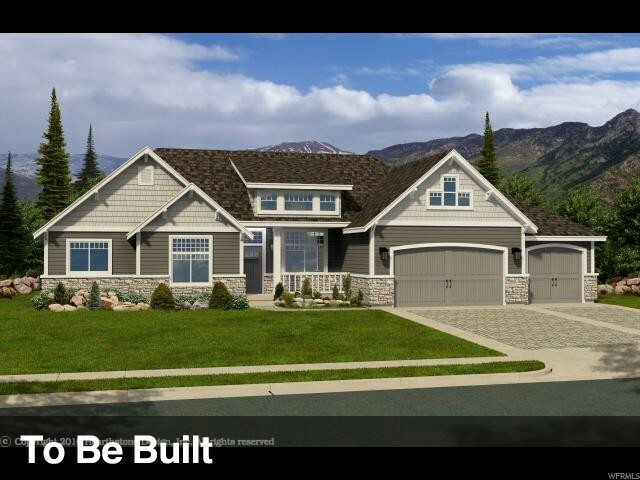 All FORT HERRIMAN COVE homes currently listed for sale in Herriman as of 04/20/2019 are shown below. You can change the search criteria at any time by pressing the 'Change Search' button below. If you have any questions or you would like more information about any Herriman homes for sale or other Herriman real estate, please contact us and one of our knowledgeable Herriman REALTORS® would be pleased to assist you. "Build the CUSTOM home of your dreams with incredible valley views in upscale neighborhood! The lot is huge with .57 acre to accommodate a basketball court, additional garage, pool or tennis court. Home will feature a walkout basement. The Plan could be built as-is, modified to your specific wants/needs, or you could design/build a completely different home. Preferred Builder is Ensign Custom Homes or you can bring your own builder & purchase lot separately. Buyer is responsible to verify all listing information, including square footage/acreage to buyers own satisfaction. Secondary water available through Herriman City. "